Google has released its annual report detailing the type and number of ‘bad ads’ they remove from their platform. This report demonstrates how far Google has come in its work to remove violating ads and improve its policies and processes around ads that violate its terms. Ultimately, this will improve consumer experiences and discourage fake news and intolerance. In 2017, they took down more than 3.2 billion ads, up from 700 million in 2015. That’s more than 100 bad ads per second. Scraping: In 2017, they blocked over 12,000 websites for “scraping”, duplicating and copying content from other sites, up from 10,000 in 2016. Tabloid Cloaking: Google suspended more than 7,000 AdWords accounts for tabloid cloaking violations, up from 1,400 in 2016. Malicious Activity: They removed more than 130 million ads last year for trying to abuse our ad network through malicious activity or by attempting to trick and circumvent our ad review processes. Malware: They blocked 79 million ads on our network for automatically sending people to malware-laden sites, and removed 400,000 of these unsafe sites. 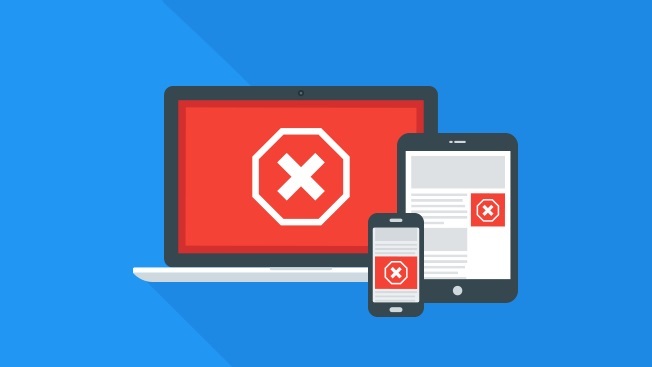 Trick to Click: Google blocked 66 million “trick to click” ads and 48 million ads that were attempting to get users to install unwanted software. How Google removed the economic incentives for sites to create and spread deceptive content online. In 2017, They removed 320,000 bad publishers from our ad network, and blocked nearly 90,000 websites and 700,000 mobile apps for policy violations. Google introduced new technology - called page-level enforcement - that allows us to remove Google ads from over 2 million URLs each month. Last year, Google added 28 new advertiser policies and 20 new publisher policies to combat new threats and improve the ads experience online. Dangerous and Derogatory: After launching an expanded policy in April 2017 to cover forms of discrimination and intolerance beyond hate speech protections, they removed Google ads from 8,700 pages. Misrepresentative content: In a single month in 2016, Google reviewed more than 1,200 sites for suspected violations of our new misrepresentative content policy -- blocking 340 of those sites and terminating 200 publishers. The following year, they reviewed over 11,000 websites for potentially violating this same policy -- most in the first six months of the year. Of these 11,000 websites, Google blocked more than 650 websites and terminated 90 publishers from our ad network. This year, Google are adding several new policies that will address ads in unregulated, overly complex, or speculative financial products like binary options, cryptocurrency, foreign exchange markets and contracts for difference (or CFDs). They have already updated our gambling policies to address new methods of gambling with items that have real-world value (e.g., skins gambling).